The human body is a complex system encompassing vast energy systems that are not immediately perceptible with our limited eyes. The chakras are energy vortices powered by prana,or life force. 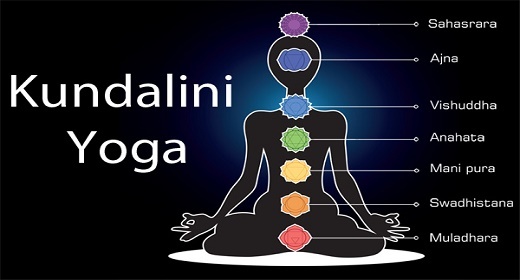 By clearing the energy blocks from our chakras, we allow the Kundalini energy to rise up through us, invigorating and uplifting our minds and bodies to new heights. Asana,or postures, are positions of the body used to activate and direct energy to open both a physical and an energetic position in the body. When using Kundalini yoga to clear the chakras, asana are useful to open pranic flow. Keep the heels together and the fingers on the ground. Inhale through the nose as you straighten your knees; exhale through the nose as you squat down. Lift the head and the feet six inches off the ground. Bring the arms up, palms facing. Stare at the toes. Do breath of fire. If full camel pose is too much of a stretch for you, place your hands in the small of your back for support and arch backwards with your head. Lie on the ground, hands under the shoulders, palms flat on ground. Push up, lifting the heart and letting the head follow, keeping the pelvis on the ground. If this is too much of a stretch, try Sphinx pose, keeping your elbows on the ground as you arch your head back. Sit on the heels. Bring the torso over the thighs and place the forehead on the ground. Extend the hands in front of you on the ground in prayer. Sat Kriya is a complete Kundalini yoga workout for all of the chakras. It is an amazing and powerful practice, complete and entire in one asana and mudra. Doing Sat Kriya everyday for 40 days will have a profound effect on the function of your chakras. It specifically works on waking up the Kundalini energy and helping it move up your spine through your chakra system. No chakra stands alone; the chakra system is holistic and interrelated. You cannot work on one chakra with Kundalini Yoga without addressing the needs of the rest. The Lower Triangle (the first, second and third chakras) deals with elimination, while the Upper Triangle (fifth, sixth, and seventh chakras) focuses on accumulation. They meet at the fourth chakra, the heart chakra, an essential point of balance between these forces. There is another kriya that uses Sat Kriya to work specifically on each chakra called Sat Kriya for the Chakras. This wonderful kriya lets you do variations of Sat Kriya in asanas specifically affecting each chakra. It helps to clear the body for the rise of Kundalini energy.